AR – Good lord. Well, I had the aforementioned ZX Spectrum, then moved onto a BBC Micro of my very own. Then came an Amiga 1200 and a NES, I can’t remember which was first. Then Megadrive, Playstation, Xbox, Gamecube, Gameboy Colour, 360, Wii, PS3, DS, PSP. Always been a PC gamer of some sort too. 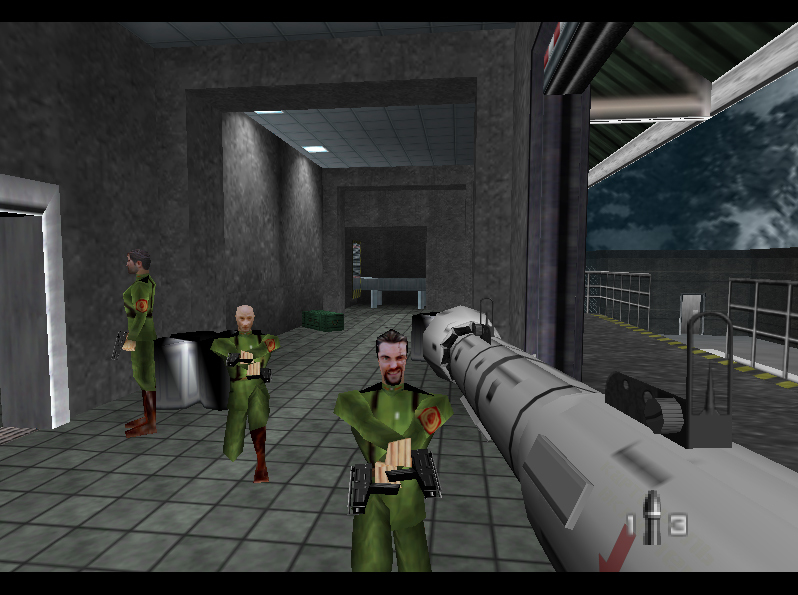 Point and clicks have long been a favourite genre. Oh, since we’re meant to omit nothing, I used to play those TIGER LCD games a lot as a kid. Had quite a collection of them, often cheap knockoff ones. And! I had a Game & Watch. That was pretty awesome. And an actual Nintendo wristwatch with a game on it. AR – Fun, mostly, and because of narrative funnily enough. I know gaming narrative still has a long way to come, but I find it a very interesting, exciting medium to follow and be involved in, in terms of storytelling. I also like shooting things. 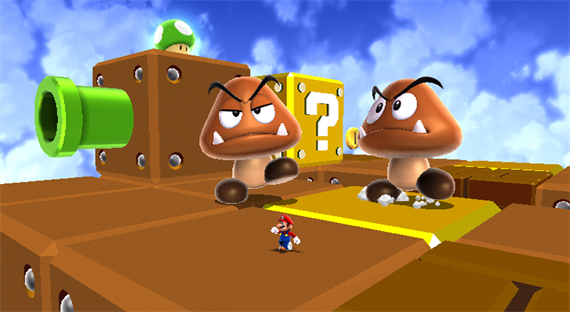 AR – Super Mario Galaxy 2. AR – Mafia II. I did! I could shamelessly self-promote by linking to the review I’ve just published, but I won’t. Relating to question 4, I thought the game had an incredibly subtle, well-spun narrative and it really gelled with me. AR – Not tough at all. Playstation 2. It just had pretty much everything I ever wanted. Every gamer was catered for with that console. It may not have been the most powerful of its generation, but it never failed to impress me. It came out at a time in gaming’s life where developers were still able to release niche, experimental games at retail, and where more ideas were being thrown around (some good, some bad, all interesting). Xbox 360’s in second place, for very different reasons. AR – Tomb Raider. Say what you will about the franchise, and I’m well aware it’s had its ups and downs, it’s the one I can consistently still feel enamoured by, even if I were to replay the very first game now. I used to play through the original every Christmas for quite some years. AR – I’ve actually only gotten into online gaming recently, aside from my Star Wars Galaxies days (back in its original form). It’s great. I’m not a very competitive gamer, so I don’t take it that seriously, but play with some good people and it’s a blast. I’m not sure it’s ever going to compete with splitscreen multiplayer sessions of Goldeneye or Mario Kart, but it doesn’t have to. It’s a huge part of gaming now, and I’m glad I’m starting to embrace it. Not least because it means I get to hear Johnny Cullen sing. AR – Ummm. I’m torn on this one. Sometimes I really like it, other times I can’t be bothered. I think it can be done very, very well, but we only occasionally see this. Most of the time it feels shoehorned in to some extent. First party Nintendo games are great examples of how to do it right, Galaxy in particular. It certainly has its place, but I would like to see a little more thought go into its implementation at times. AR – No. Or: 3D gives me a headache. I do not want to consider this question. AR – I’d like to see more of a focus on improving the way games can be used to tell stories. We’ve nailed game mechanics, graphical prowess is just a case of improving as the technology does, so I’d like to see further attempts at immersing players in the game world. Tighter scripts, exploration of the way stories are told, improved AI, that kind of thing. I’d also like to see developers being able to take risks again, so basically a more financially stable climate where slightly disappointing sales of one game which tries something different doesn’t lead to hundreds of layoffs. I would imagine everyone would prefer that though. AR – I should probably say something poignant, like ‘gaming allows me to shut out the world, to allow real life to take a back seat and immerse myself in a fantasy realm where I can be who I want to be, do what I want to do’, but really it’s more the case that gaming is fun, it’s the thing I opt to do in my spare time to HAVE fun, and if it wasn’t for gaming I’d probably be a famous violinist like Vanessa Mae. I’m not sure that would be a bad thing. I’d probably earn more.